When I think of Afghanistan it is caves, bombs and the Taliban. It certainly isn’t a vision of hard-playing sportsman. It happened when the ten-year war (1979-1989) with Russia drove two million Afghans into Northern Pakistan. Something magical happened. Sitting in camps with nothing to do but watch the game of Cricket stirred a fire in their bellies. Before long Afghans were learning the game and giving the experienced players some tough competition. When the players returned home they found a coach, formed teams and news spread across the country. Afghans struggle when they play on turf because at home they practice on dusty fields with artificial wickets. 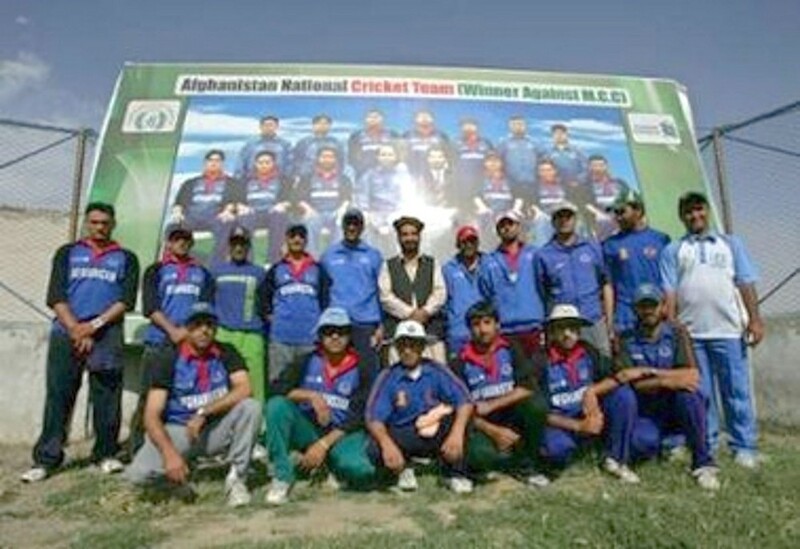 Yet, against the odds, Afghanistan National Cricket has participated six times in Pakistan domestic cricket, which they won three 3-day matches and 1 limited overs match. The Minister of Sport has made Cricket the number one sport in Afghanistan. It is very popular on TV. I feel good for this country and its people who now can be known for something good. This entry was posted in Sports and tagged Afghanistan, Delhi, Esquire (magazine), Gay Talese, Heroes, New Journalism, people, Television. Bookmark the permalink.